Congratulations to the winner of the Dragon Duel playoff: Kenta Lee! 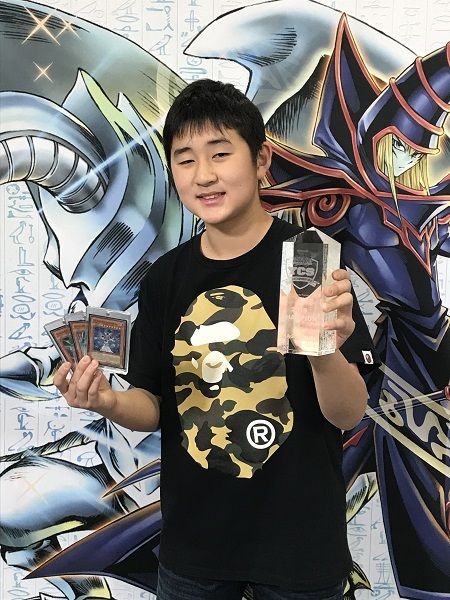 Kenta won Sunday’s Dragon Duel and the Dragon Duel Playoff with Salamangreats! He is taking home a Set of Darklord YCS Prize Cards: Darklord Asmodeus, Darklord Edeh Arae and Darklord Superbia! Congratulations Kenta!